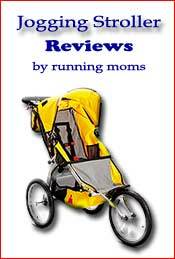 Bob sport utility stroller reviewed. 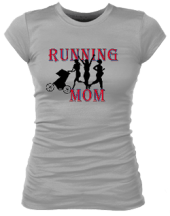 Heather is an enthusiastic runner and fitness expert who pushes both two boys in her Bob Sport Utility stroller. She has used it to train for races from 5k's to marathons. She is currently earning a Bachelor of Science Degree in Exercise and Sports. 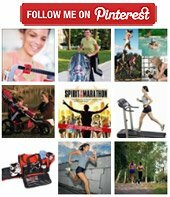 If you are ever visiting the social website, Cafe Mom, check out her Running Moms Group which is packed with helpful information from friendly moms. It was there that I learned she even uses her stroller to do speed workouts with both her kids in it! The cons: It's very big, does not fit through doorways, and doesn't come with any accessories which is unbelievable considering the price tag. Even cup holders must be purchased separately. The storage space beneath the stroller is very shallow, it is hard to even get a diaper bag in there. The pros: After you run with it for the first time, none of the "cons" will matter! Despite it's size, it feels INCREDIBLY light weight and is an amazingly smooth ride. Pushing this double stroller is easier than pushing the single I used to run with! Perfect for those who put in serious mileage. It folds and unfolds incredibly easy. The wheels snap on and off very easily, which is convenient if you have a car with small trunk space as we do. I can easily take the front wheel off so the stroller fits in my car, and pop it back on in seconds when I'm ready to reassemble and run. The Bob Sport Utility Stroller has a fixed front wheel and smaller tires designed for running more on the road than off trail. However it is equipped with the shock system that BOB strollers are known for to help absorb those bumps in the road. Interested in buying this stroller? Click here to check out Amazon.com's current price now.